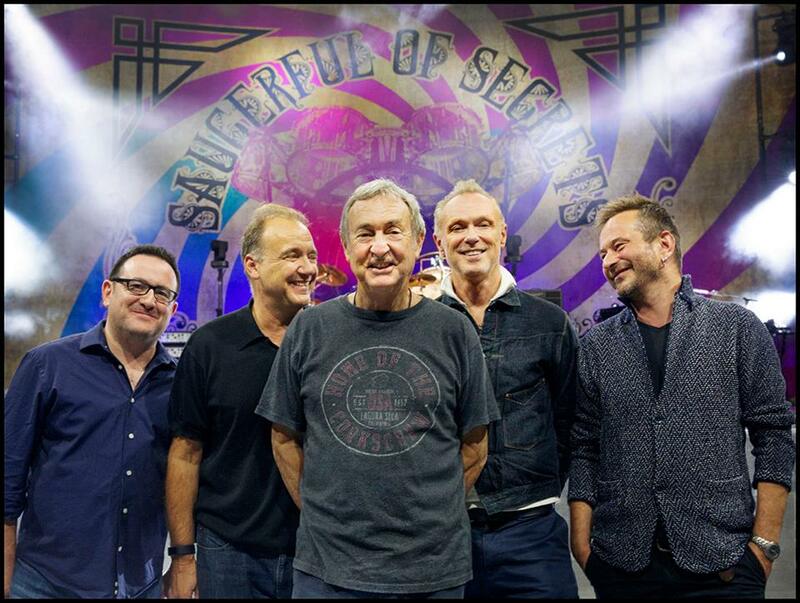 Nick Mason’s Saucerful of Secrets — the Pink Floyd drummer’s new group who perform music from Syd Barrett-era albums The Piper at the Gates of Dawn and A Saucerful of Secrets — have expanded their first-ever North American tour, adding second LA and NYC shows, as well as a Philly show. The first LA and NYC shows have sold out. The second LA show happens March 17 at The Wiltern, the second NYC show happens April 19 at Beacon Theatre, and the Philly show happens April 20 at The Met. Tickets go on sale Friday (11/16) at 10 AM PST, 10 AM EST, and 9 AM EST, respectively, with presales starting Wednesday (11/14) at 10 AM local time. Mason’s band also includes Spandau Ballet’s Gary Kemp, Lee Harris of Ian Dury & the Blockheads, composer Dom Beken (who frequently collaborated with Floyd keyboardist Rick Wright) and Guy Pratt, who became Floyd’s bass player in the post-Waters era.